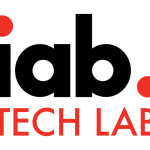 The IAB Technology Laboratory today released for public comment “Standard Header Container Integration with an Ad Server,” a standard for header bidding that establishes the foundational requirements needed to support the adoption of header bidding technology. The document provides insights into best practices that help standardize how header tags and containers interact with ad servers—laying the groundwork for the application of more advanced technologies as innovation spurs the industry forward in the header bidding field. 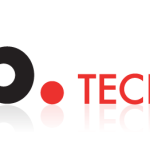 This standard marks the first-of-its-kind for the IAB Tech Lab in the header bidding landscape, and addresses the steps needed to integrate a yield management strategy with specifications related to line-item setup, employing header tag technology with an ad server, and reporting and discrepancy. Furthermore, the standard’s accessibility extends globally, and provides technical guidance that will prove helpful for the implementation of header bidding on a global scale. The document was written by the IAB Tech Lab Header Tag Working Group under the direction of the IAB Tech Lab Board of Directors, and is available for review by the public until July 28, 2017. To view the document, go to https://iabtechlab.com/header-tag, and to submit feedback, please email OpenRTB@iabtechlab.com.